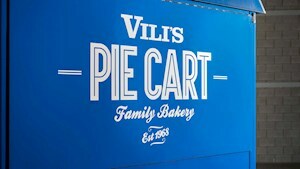 Vili’s Family Bakery creates and bakes every day. 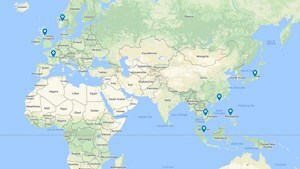 We distribute our food throughout Australia and globally to 24 countries in Asia, Europe and the Pacific. No added preservatives. When we say hand made we mean hand made. 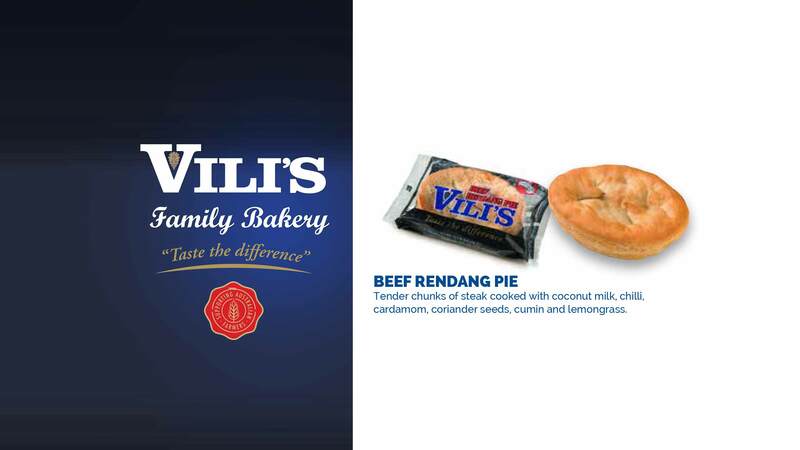 The humble Aussie meat pie was transformed when Vili started his baking revolution and stated that “a meat pie should only contain meat”. Don’t all meat pies contain meat only? Not so! Many pies contain soy bean substitutes and artificial colours and preservatives that give the indication of high quality meat. 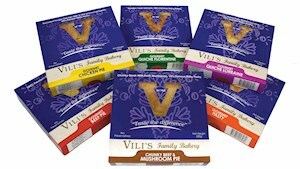 Vili’s Pies do not just have any meat, but high quality lean beef. 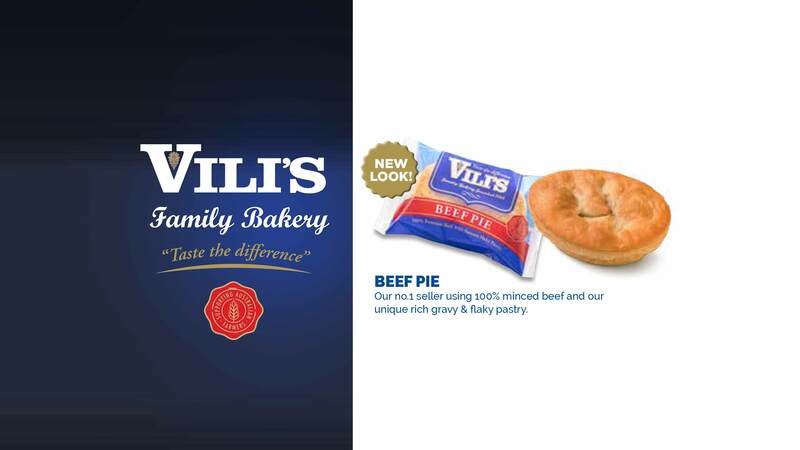 “It must be fresh” became another Vili's philosophy, so he used real onions and rich beef gravy. 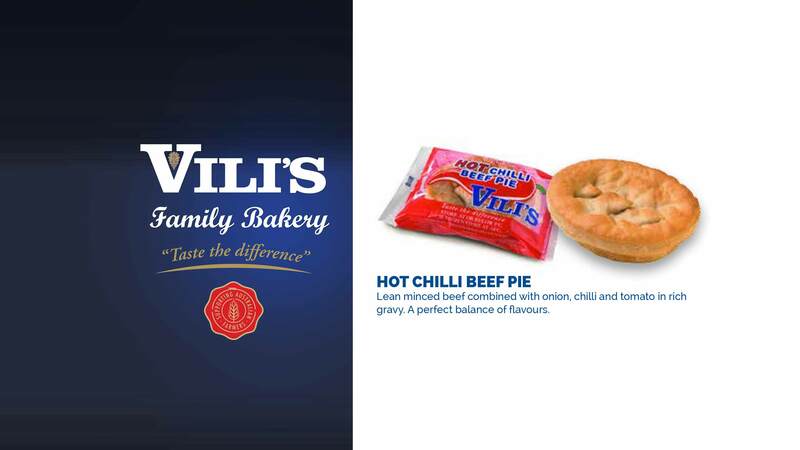 Vili’s pies contain around half the fat of your average meat pie because they have only quality lean meat. 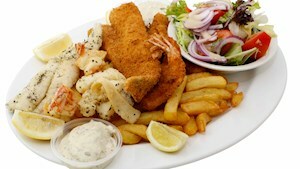 Not only are they lower in fat, they are higher in real meat flavour and lower in salt than the competition. 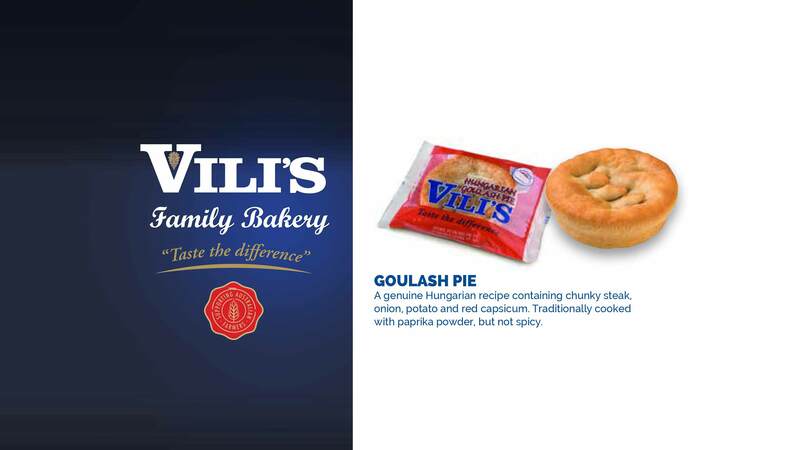 The revolution continued and Vili perfected his now legendary flaky pastry, much lighter than normal pie casings, but strong enough to hold the meat filling without spilling. 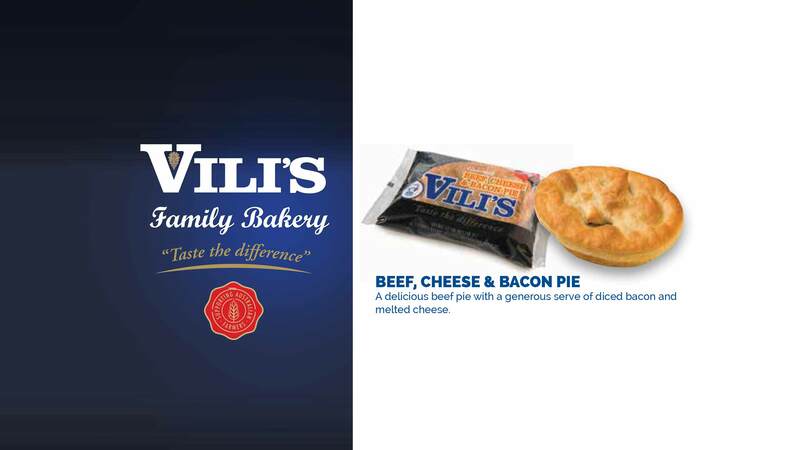 Then came the Vili’s Pasty. The same golden, flaky pastry and full of fresh vegetables. 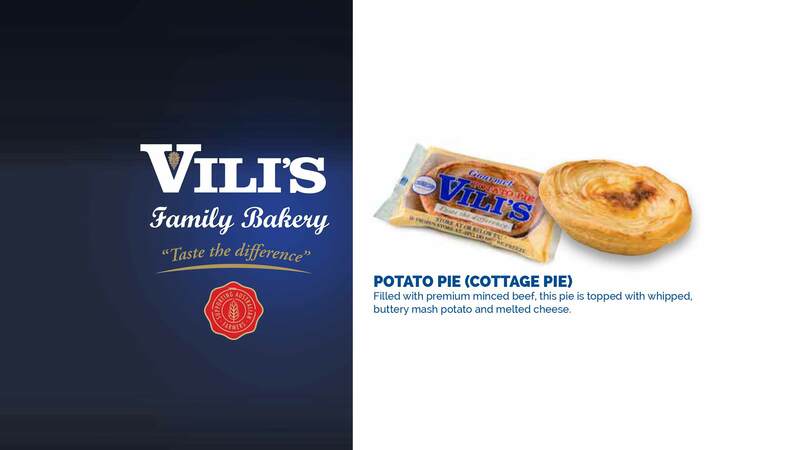 Every Vili’s pie, pasty and sausage roll is handmade. 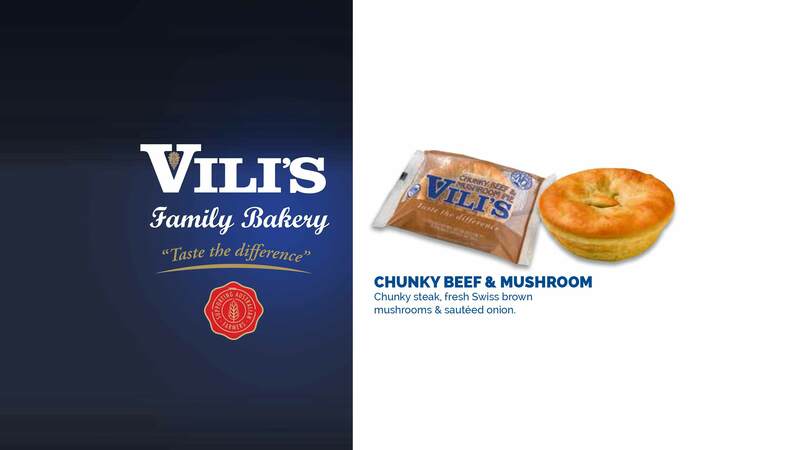 Vegetables are peeled by hand, spices are added by hand and anything that doesn’t match Vili’s high standards is rejected by hand. 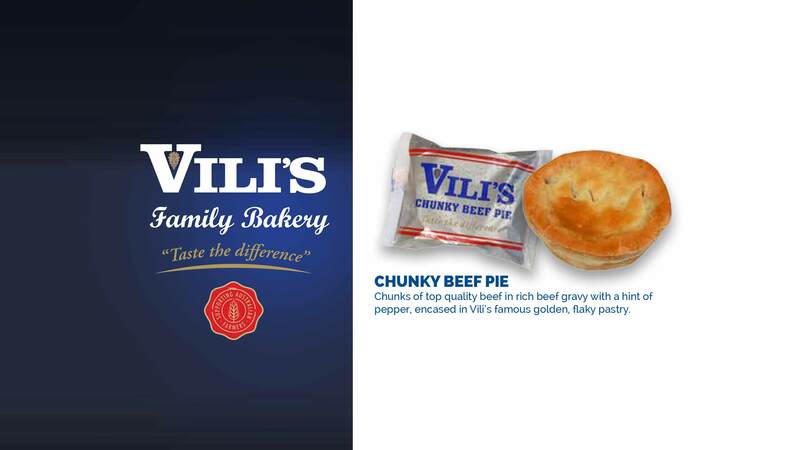 As Vili says, “machines can’t taste”, but humans know the difference and can give the thumbs up to a great pie. For our full range please download our product brochure.